Providing you the best range of Metal Keychain such as Rectangular Metal Keychain, Apple Shape Metal Keychain, Black Metal Keychain and Fancy Metal Keychain with effective & timely delivery. 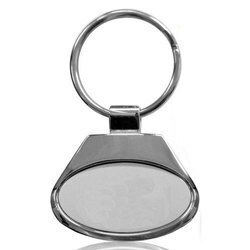 The company is well known in the market for the supply and export of a wide range of products such as the Metal Key Chains which are available in a range of designs and they have been bought from well known vendors in the market. 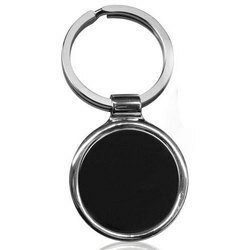 These Corporate key chains are high on demand in the market for keeping keys in a proper manner and they have been priced at very reasonable rates in the market. They are high on demand in the market and have a fine finishing. 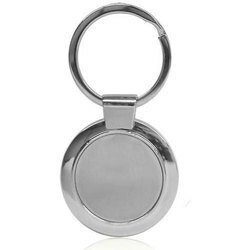 In order to respond to the varied demands of patrons, we are able to offer Round Shape Metal Key Chain. 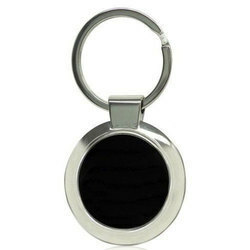 These key chains are designed and developed utilizing premium grade components and latest technologies. 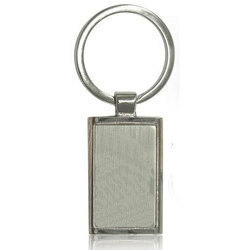 This range of key chains is designed utilizing contemporary machines and innovative techniques while production process. 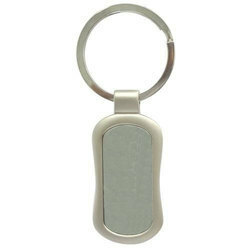 We manufacture various Metal Keychain in various shapes and materials. Over 15-20 designs are in bulk stock with us at all times. key chain displayed here is made from white metal plated silver. It is also available in gold on request. An ideal size it fits in your palm and the edges is non-sharp and safe so that it won't tear into fabric thus ensuring that your clothes are safe. We can help you have it engraved or printed the choice is yours. 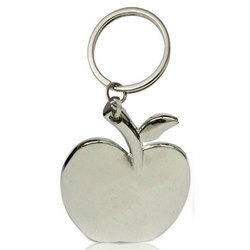 Backed by a rich industrial experience, we are engaged in offering a huge array of Apple Shape Metal Keychain to our customers. We are highly commended among our patrons for offering this range. These are made using optimum quality inputs and latest tools. We offer these at market leading rates. 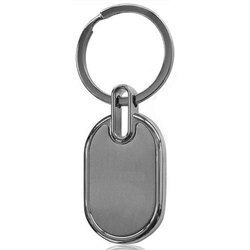 To supply the ever rising needs of our customers, we are occupied in offering a wide range of Rectangular Metal Keychain. Under the supervision of accomplished personnel, these are manufactured in agreement with the defined quality standards. More to this, these are highly acclaimed in the industry because of their Sturdy. So as to uphold the standing we have built up, we are engrossed in presenting a broad compilation of Metal Keychain. Made making use of advanced tools along with sophisticated technology, these are exceedingly demanded. We duly check the entire consignment before sending it to our customers. With an intention to enhance the standing we have built, we are occupied in offering a wide collection of Black Metal Keychain. Under the supervision of trained personnel, these are made with utmost precision. Moreover, these can be changed to meet with the varying needs of our customers. 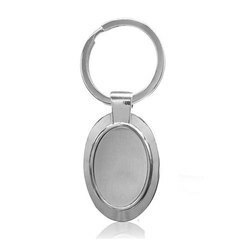 We manufacture various Metal Keychain in various shapes and materials. Over 15-20 designs are in bulk stock with us at all times. 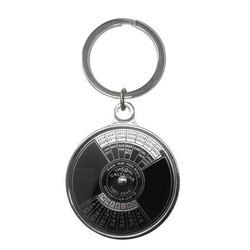 50 years Calendar Metal key chain displayed here is made from white metal plated silver. We are engaged in providing highly effective Heart Shape Metal Keychain. It is processed under the guidance of skilled professionals utilizing high-quality basic chemicals at par with industry quality standards.